DJT often looks for things that are intrinsically magical to inspire his performances and to reach the subconscious of his spectators. Neuro-linguistic programming techniques and subliminal suggestions like these help to coax the audience to respond more strongly to your magic! 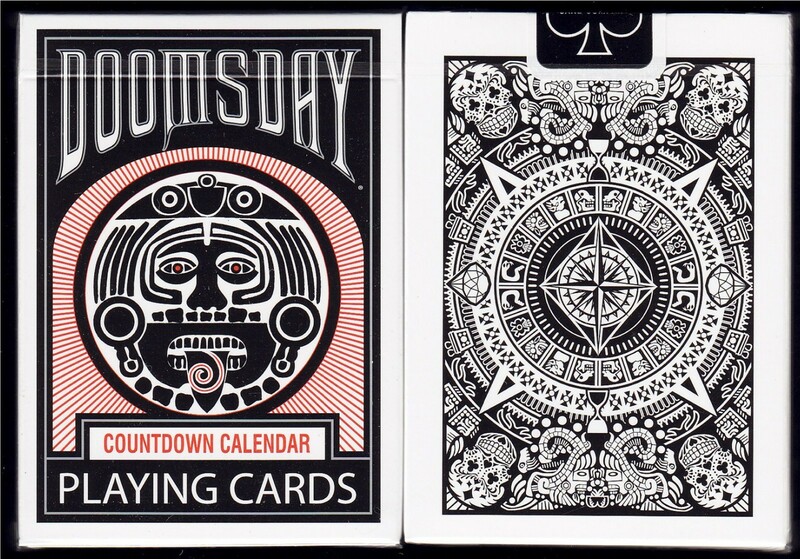 These black and white card backs feature ancient imagery based on the Mayan calendar, a compass rose, sugar skulls and more. 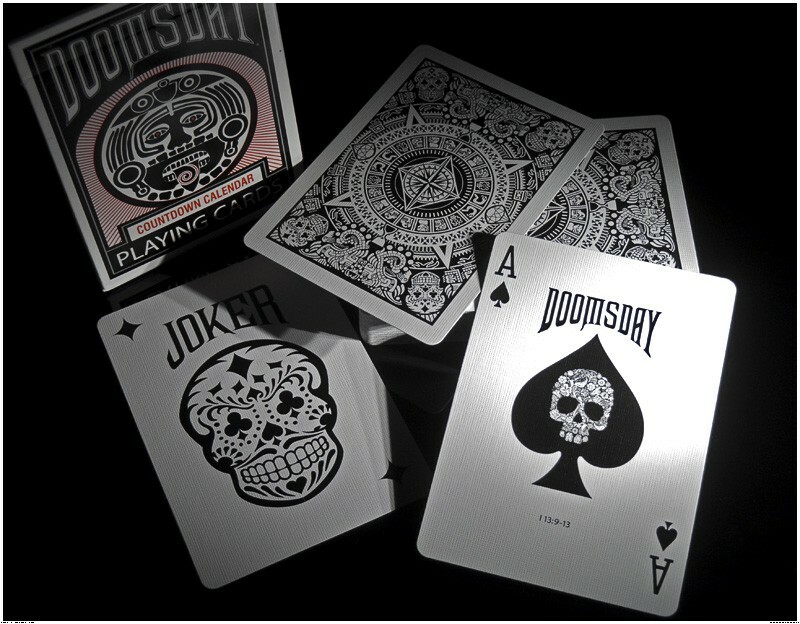 The cards are poker-sized Bicycle stock with an “apocalyptic” finish. The deck was licensed with Bicycle faces so they can be implemented into 808 decks for various magic routines. 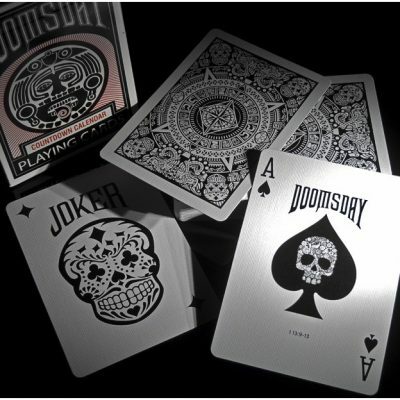 This deck manufactured by the United States Playing Card Co. includes two duplicate Jokers, a unique Ace of Spades, a blank-faced card, a double-backed card and a secret one-way design. These are from a sold-out limited edition produced in 2012. 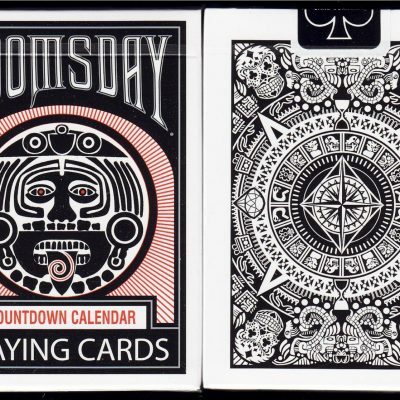 I recently uncovered a big box of the original Doomsday decks from a friend and repurchased them from him. Buy the last of the lot while you can. The price shown here is for one sealed deck. The ceramic skull is not included.